The proposal also seeks to provide cashback benefits, which is being termed as tax credit, to businesses. Businesses can get a cashback based on the quantum of turnover through the digital mode. 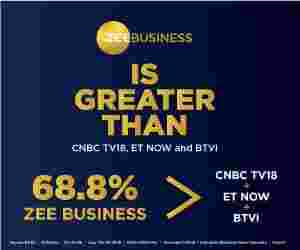 Sources close to the development informed Zee Business that the proposal that seeks to encourage digital transactions across India will be placed before the GST Council that is supposed to meet on May 4, 2018. Narendra Modi government is working on a proposal that seeks to provide incentives on digital transactions by providing a 2 per cent discount over the maximum retail price (MRP), to consumers who are paying through the digital mode. However, the discount would be capped at Rs 100. The proposal also seeks to provide cashback benefits, which is being termed as tax credit, to businesses. Businesses can get a cashback based on the quantum of turnover through the digital mode. Sources close to the development informed Zee Business that the proposal that seeks to encourage digital transactions across India will be placed before the GST Council that is supposed to meet on May 4, 2018. GST council meeting will be held on May 4, 2018, through video conferencing. GST Council comprises of Finance Minister Arun Jaitley, as its chairman, and ministers from each state and the union territories. Discussion on the proposal for cess insertion on sugar and reduction of ethanol rate can be taken up during the meet. The proposal seeks to insert a cess of Rs 3 per kg of sugar. This cess will be in addition to 5 per cent GST that is charged in sugar. The cess is being planned to help the sugarcane farmers as well as sugar mills. When it comes to ethanol, the proposal seeks to lower the GST rate from 18 per cent to 12 per cent. The Council may have a discussion on taking over the GST Network (GSTN). At present, 51 per cent of GSTN is under the control of private players. With this, GSTN may come under the control and supervision of the government. In addition, the GST Council may also approve the GoM's proposal to simplify the process of making GST returns. The GoM headed by Deputy Chief Minister of Bihar, Sushil Modi, has preferred the Fusion model for the purpose. Suggestions of the government, as well as Infosys co-founder and former chief of UIDAI Nandan Nilekani, have been included in the fusion model. It is being said that there will be a single page return and fillers will be asked to file the returns only once in a month.